Is Your Air Conditioning System Faulty? Whether your car is suffering from poor ventilation or no longer keeping you cool on hot sunny days then you should get your air conditioning system checked out. If your car’s air-conditioning system blows only warm air on hot days, it’s probably because it is low on refrigerant, and the most likely cause is a leak somewhere in the system. Though many vehicle owners think they need to recharge or “top off” their air-conditioning system with refrigerant on a regular basis, such as annually, that’s not the case. If the air conditioning stops working (but the fan continues to blow warm air), a leak in a hose, connector or other part of the system is probably the culprit. During the winter, you may notice that the defroster isn’t clearing fogged up windows, and that also is a sign you have a leak. Most defrosters engage the air conditioning to dehumidify the air. 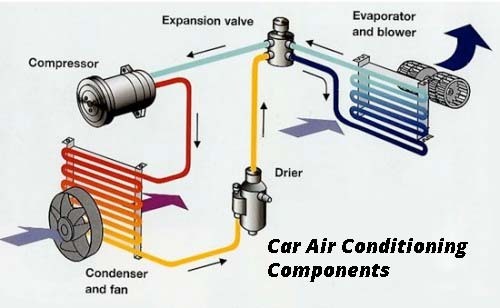 If there is a leak, the air-conditioning system on most modern vehicles is designed to shut down once the refrigerant level drops low enough in order to prevent damage to the air-conditioning compressor. Note that we are talking about “refrigerant,” not Freon, the brand name for a type of refrigerant that is no longer manufactured because it can damage the ozone layer. Contemporary vehicles use a refrigerant known as R-134. PreviousPrevious post:Want Better Performance From Your Car?